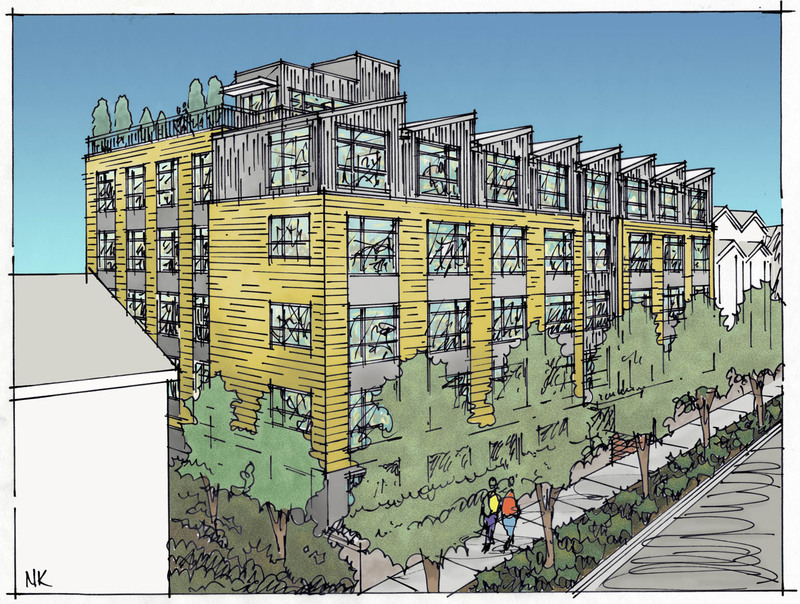 Two Seattle developers say they intend to start construction this year on modular apartment complexes in Ballard and the University District in Seattle. R.D. 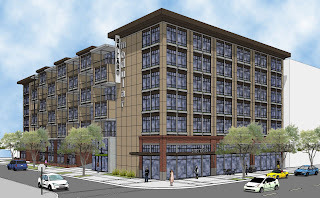 Merrill Co. plans a six-story, 124-unit building at 5601 24th Ave. N.W., with construction by the end of the year. Triad Capital Partners plans to start construction this summer on a five-story, 75-unit complex at 4029 Seventh Ave. N.E. Nicholson Kovalchick Architects is designing Triad's complex and Urbal Architecture is designing Merrill's. DCI Engineers is the structural engineer on both. Merrill said it intends to hire Seattle-based OneBuild to make the modular units. Triad said OneBuild has done pre-construction work, but no construction contract has been signed. Modular units are built in a factory. They include all the electrical, plumbing and lighting systems, and appliances — all the innards of typical apartments. The units are shipped to the site and stacked like Lego blocks using a crane. Then they are connected together and tied into the utilities. 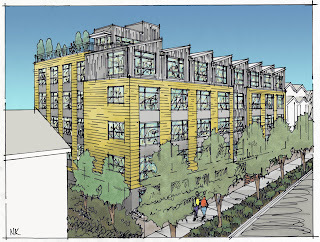 Modular projects have been built nationally and internationally, but local market observers say these will be the first large-scale modular apartment complexes in Seattle. It is always good for the west coast to get some modular love for a change. These articles are about a year old however. There are more recent articles concerning modular that could be posted from the Seattle DJC. Lynn Porter is the reporter who has her ear to the ground for modular.